Increase the freedom and comfort in your life. ...treating vascular disease since 1981. Receive the personalized care you deserve. At the Cosmetic Vein Centers of Texas, we are devoted to the cosmetic treatment of veins and skin imperfections by utilizing the latest, most advanced techniques and state-of-the-art equipment. The centerpiece of our practice emphasizes patient care, which begins during an initial inquiry leading to a comprehensive consultation and bringing first class healthcare. We use quick, minimally invasive varicose vein treatment at our Houston vein center. Proven safe and effective in the elimination of varicose veins, see immediate results with our procedures. If you are bothered by the appearance of spider veins on your legs or face, seek treatment at our Houston vein center to restore a smooth, clear appearance. Highly effective and minimally invasive, we offer beautiful results. This may occur as a result of rosacea, hormonal changes, pregnancy, heredity, and other causes. Call our Houston vein center for more information about our effective procedures on how to treat facial veins. At Cosmetic Vein Centers of Texas we specialize in correcting varicose veins and spider veins. 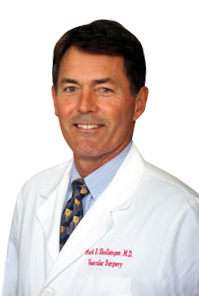 Dr. Skellenger, board certified in vascular surgery, performs the most up to date procedure Endovenous Laser Therapy of the Saphenous Vein, ELT, without the need for general anesthesia. Vein Stripping is no longer necessary. Spider veins and facial veins are also removed with our advanced laser. Microphlebectomy can be performed so your leg is without bulging veins immediately. The small openings are the size of a freckle and the patient usually heals without a scar and can return to normal activities. Cosmetic Vein Centers of Texas uses XEO™ Age Spot Removal System, a state-of-the-art laser age spot removal technology that safely and effectively get rid of the effects of sun damage. At Cosmetic Facial Aesthetics we are committed to helping you look younger. Combining our skills in cosmetic facial treatments with years of experience, our team will work to accomplish your immediate cosmetic goals to help you look and feel beautiful for years to come. For more information, visit www.cosmeticfacialaesthetics.com. Information found in this website is applicable for most patients. Response to treatment may vary in some patients.